NEW Expedited Design Review Process! 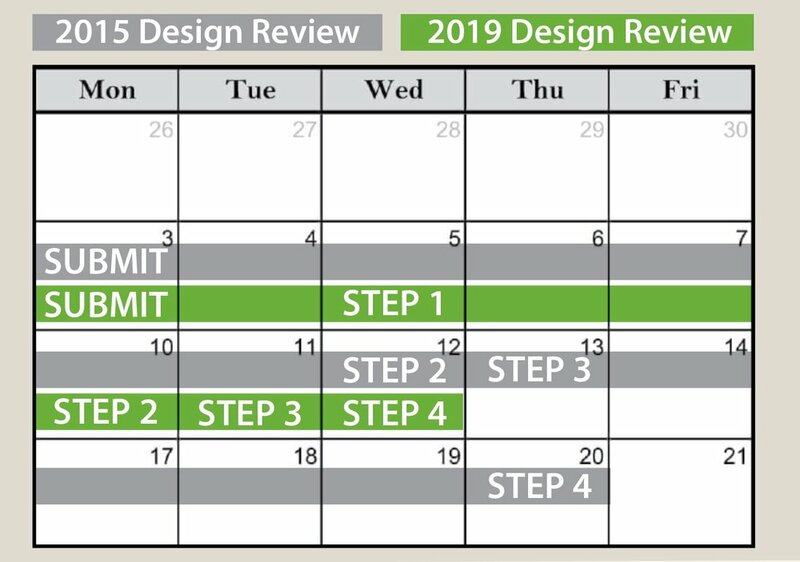 We have noticed the Housing Design Guide review process initiated in 2015 has, at times, impacted the timeline of the home building process within Rocking Horse Farm. To speed up the process, we have come up with a solution that will reduce the initial response time from the original 7 days to 2 days … or about a 70% response time reduction. The response we’ve received from current homeowners about the design guideline has been very positive. Not only has it been embraced, but they’ve informed us they very much appreciate the complimentary design guidance offered by RHF via Chris Hawley Architects. Overall, they feel it adds significant value to their home and neighborhood. Note: The time response for step 3 is dependent on the builder but for the purpose of this example we used 1 day. The following are responses from a homeowner survey conducted last spring. Older Post12 New Home Builds in Rocking Horse Farm!